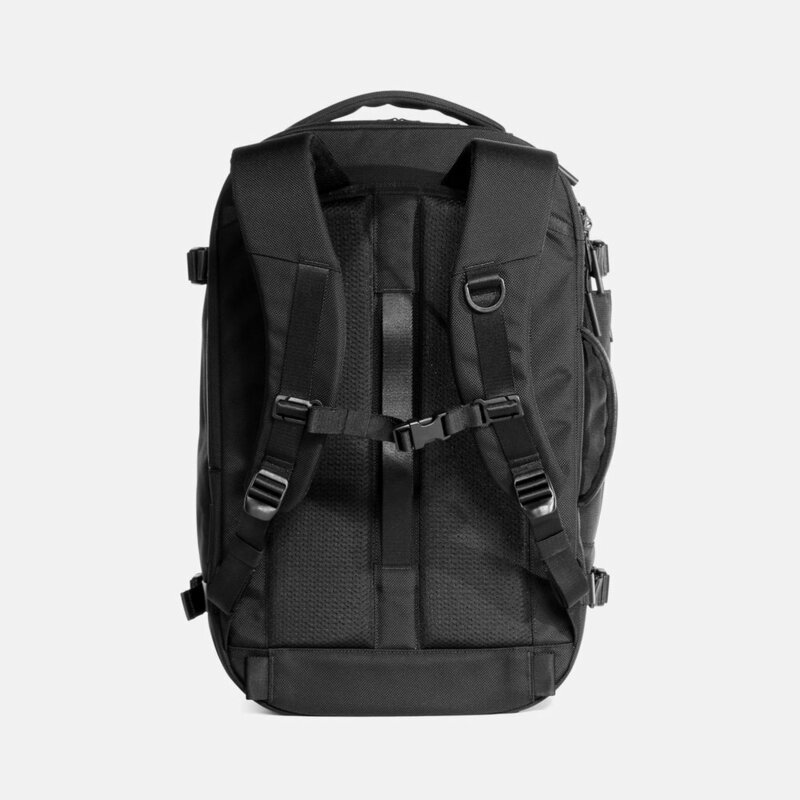 Featured in Wirecutter's "The Best Carry-On Travel Backpacks"
The Travel Pack 2 is a versatile carry-on backpack designed for traveling smart. Breeze through security checkpoints, skip the baggage carousel and quickly access your travel essentials on the go. Discover what's new with the Travel Pack 2. 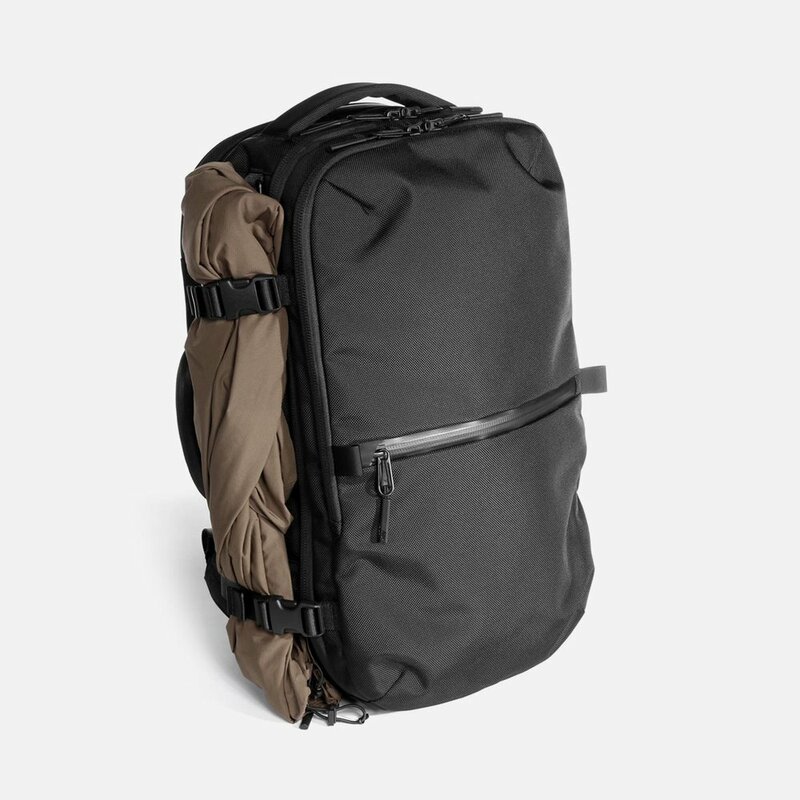 "This new travel pack has us booking last minute trips"
"A great one bag travel pack with a slick look"
"Few companies do it as well as Aer"
Discover the all-new Travel Pack 2. Never check your bag again. Clamshell opening for easy packing. Separate compartment for shoes or dirty clothes. Multiple pockets keep you organized and prepared. Quick access laptop pocket with padded base and YKK® AquaGuard® zippers. Quick access pocket for your travel documents. Hip belt for heavier loads (sold separately). Luggage pass-through for convenient carry. Lockable zippers for additional security (major compartments only). 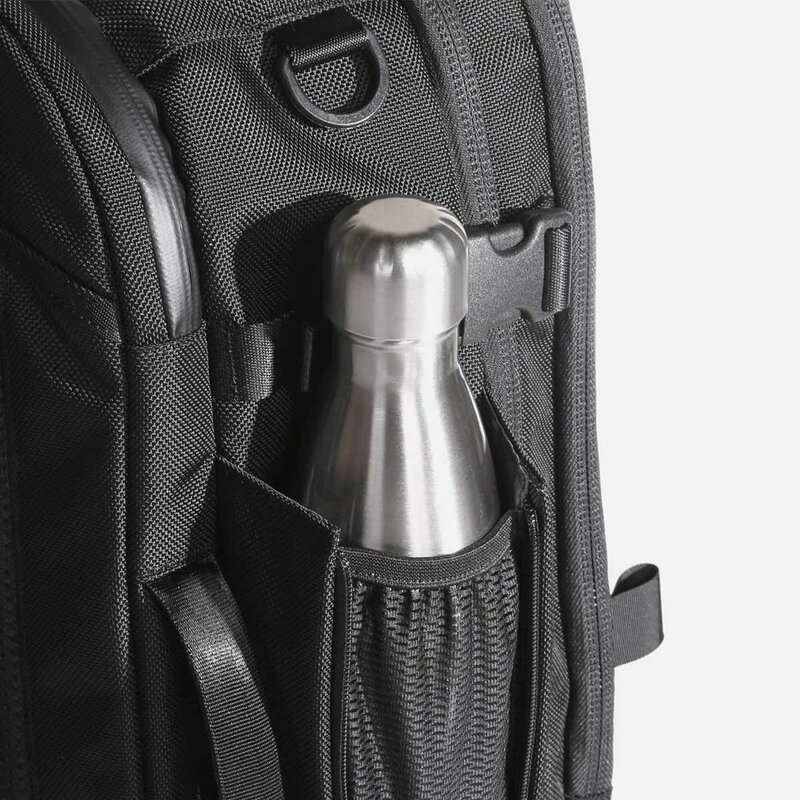 Go from a carry-on backpack to a daypack. Ergonomic shoulder straps keep you comfortable throughout the day. The Travel Pack 2 is now in stock. Get yours today. See what customers are saying about the Travel Pack 2.